It was only the second work day of the new year. Optimism was still high and holiday memories still fresh. She got up and went to the office job she has enjoyed for over 20 years. About mid-morning, she walked into the file room. And in just the blink of an eye, her life changed forever. Five years later, after multiple hospitalizations, four back surgeries, one shoulder surgery, and one spinal cord stimulator, she is left with an uncertain future of chronic pain, walking aids, depression, and the inability to ever work again. 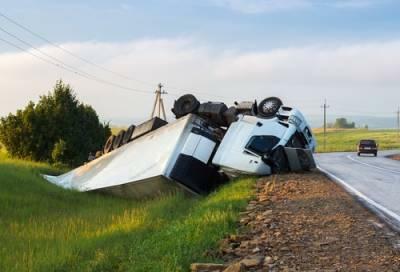 What turned her life upside down was a carpet manufacturer that put profits ahead of safety. Rather than reform its manufacturing and quality control procedures, it sold to the public carpet tiles which had a built-in tendency to curl at the edges and corners. 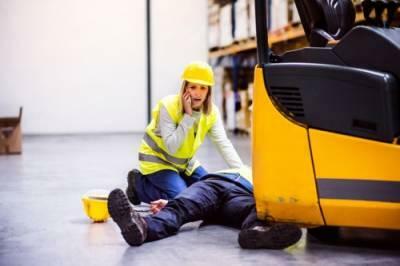 It did so knowing that “upcurl” created a tripping hazard for busy workers doing their jobs in the high traffic commercial environment for which carpet tiles were designed. The specific tiles that changed this life contained “substantial” upcurl and should not have been sold according to the company’s own standards. A call comes out of the blue. Your elderly but vibrant parents have been seriously injured in a car accident, and both are clinging to life in a remote hospital. Your brothers and spouses rally support. You put your lives on hold for months while you care for the mother and father who cared for you. Despite a valiant struggle, and the uncommon devotion of a special family, your Father slips away. Your Mother survives but faces a lonely and uneasy future. The tranquility of your world has been shattered. As you all search for healing, justice emerges as the essential first step. 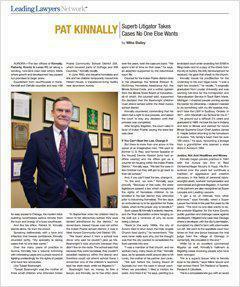 The privilege of helping this remarkable family fell to Pat Flaherty, Maggie Mayer CP and his partners at Kinnally Flaherty Krentz Loran Hodge & Masur P.C. They fought rentlessly to identify the wrongdoers and to establish the legal responsibilty corporate entities sought to avoid. 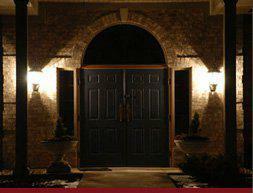 Once they were cornered, once the evidence became insurmountable, they capitulated. They recognized the pain and suffering they imposed and the specialness they destroyed. A $9.5 million award will stand as validation of the family’s loss and of its commitment to making a difference. Corporate practices will change because of their courage, and society will be a little safer. 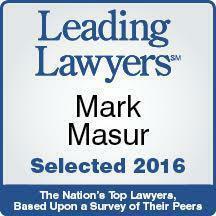 Kinnally Flaherty Krentz Loran Hodge & Masur P.C. 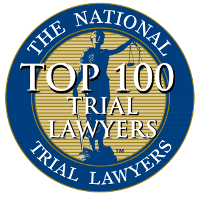 is pleased to announce the selection of four of its partners to the list of Illinois' top attorneys, as evaluated by Super Lawyers. 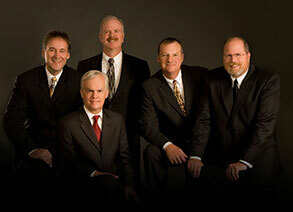 The Kane County Personal Injury and Commercial Litigation law firm of Kinnally Flaherty Krentz Loran Hodge & Masur P.C. 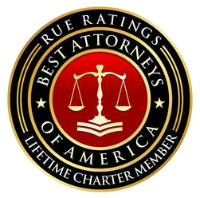 is pleased to announce the selection of four of its partners to the list of Illinois' top attorneys, as evaluated by Super Lawyers, a national ratings service for the legal profession. 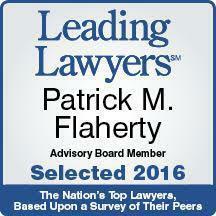 Receiving this distinguished honor are attorneys Patrick Kinnally, Patrick Flaherty, Paul Krentz and Mark Masur. 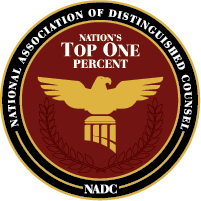 Selection to this list signifies that the attorneys named have been rated by their peers as among the top 5% of all Illinois lawyers in their respective fields. The Supreme Court Committee on Jury Instructions in Civil Cases is a body of distinguished lawyers from across Illinois who are responsible for drafting jury instructions and recommending them to the Supreme Court. The Illinois Supreme Court has appointed Kane County Civil Litigation Attorney Patrick Kinnally to its Committee on Jury Instructions in Civil Cases. 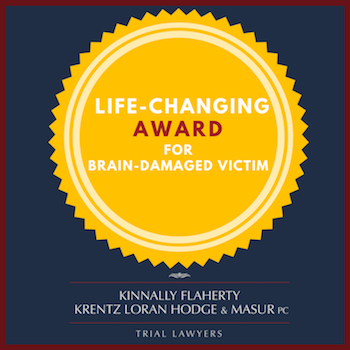 Kinnally is a partner at Kinnally Flaherty Krentz Loran Hodge & Masur, P.C., a well-regarded personal injury and commercial litigation law firm in Aurora, Illinois. 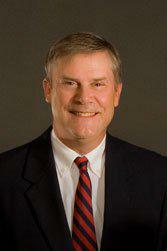 This is the fourth consecutive year in which Mr. Kinnally has been selected to serve on the Committee. He was initially appointed in 2014. 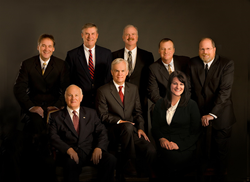 The Supreme Court Committee on Jury Instructions in Civil Cases is a body of distinguished lawyers from across Illinois who are responsible for drafting jury instructions and recommending them to the Supreme Court. 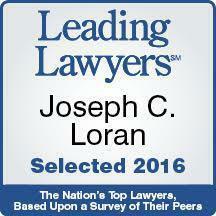 The instructions identify the legal requirements for a variety of legal claims recognized under Illinois law. They provide guidance for jurors in determining the outcome of the cases before them and they are used every day in courts throughout Illinois. 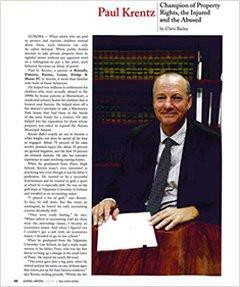 Accurate and clear jury instructions are essential for the proper administration of justice. 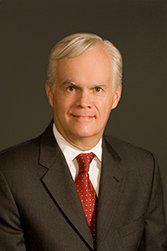 Kinnally Flaherty Krentz Loran Hodge & Masur P.C. Partner Paul G. Krentz was featured in the 2017 Real Estate Edition of Leading Lawyers Magazine. 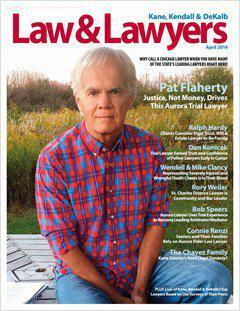 The Aurora, Illinois, law firm of Kinnally Flaherty Krentz Loran Hodge & Masur P.C. 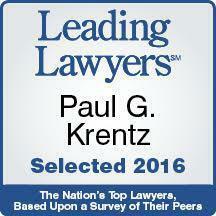 is pleased to announce that Partner Paul G. Krentz was recognized in Leading Lawyers Magazine. The 2017 Real Estate Edition features Krentz in a three-page spread, entitled “Champion of Property Rights, the Injured and Abused,” covering his career and legal legacy. 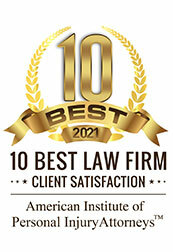 For an attorney to be honored as a Leading Lawyer, he or she must be recommended by their legal peers and approved by the organization’s official state Advisory Board. Each nominee is judged on their quality, experience, and reputation in their specific areas of practice. 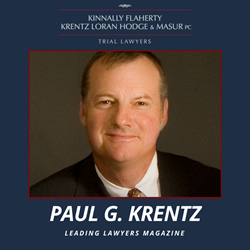 Paul Krentz was recently featured in The Real Estate Edition for 2017 of Leading Lawyers Magazine. See Publications. 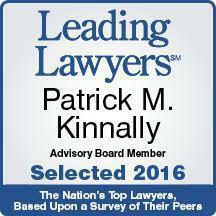 Patrick Kinnally was appointed Chair of the International Immigration Law Section Council 2016 - 2017 ISBA Year. The law firm of Kinnally Flaherty Krentz Loran Hodge & Masur P.C., located in Aurora, Illinois, is proud to announce that the Kane County Bar Foundation has recognized the firm as “Patron of the Year”. 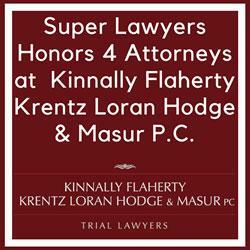 Kinnally Flaherty Krentz Loran Hodge & Masur P.C. received the “Patron of the Year” distinction alongside another Aurora law firm for their continued support of the Foundation and its causes. The award was presented at the Kane County Bar Foundation Great Gatsby Gala at Elgin Country Club.